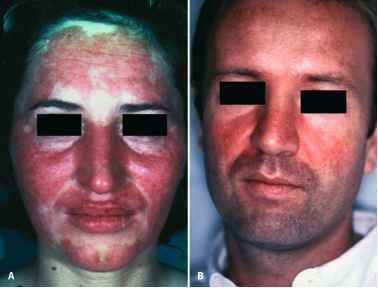 Since clinical data, phototesting procedures, and experimental evidence demonstrate unequivocally the detrimental effects of sun irradiation on patients with LE, sun screens and photoprotection are major issues in the management of patients with LE (Furukawa et al. 1990, Lehmann et al. 1990, Norris 1993, Sontheimer 1996). Photoprotection can be achieved by topical and systemic agents as well as by behavioral measures, which have to be taught to the patient (Gil and Kim 2000, Lehmann 1996, Lehmann and Ruzicka 2001).